Preface: The Hangzhou Declaration: Placing Culture at the Heart of Sustainable Development Policies (2013) was adopted by the International Congress “Culture: Key to Sustainable Development”, Hangzhou, People’s Republic of China, 17 May, 2013. 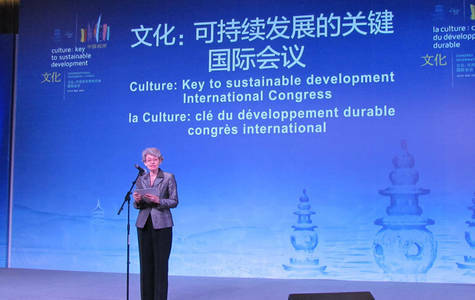 The International Congress “Culture: Key to Sustainable Development” (hereinafter referred to as “the Hangzhou Congress” or “the Hangzhou Declaration”) was held in Hangzhou (China) from 15 May to 17 May 2013. 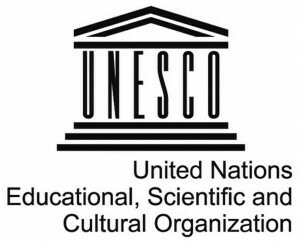 This was the first International Congress specifically focusing on the linkages between culture and sustainable development organized by UNESCO since the Stockholm Conference in 1998. As such, the Congress provided the very first global forum to discuss the role of culture in sustainable development in view of the post-2015 development framework, with participation of the global community and the major international stakeholders. The United Nations Conference on Sustainable Development – or Rio+20 – took place in Rio de Janeiro, Brazil on 20-22 June 2012. It resulted in a focused political outcome document which contains clear and practical measures for implementing sustainable development. Despite the progress made, the most recent United Nations Conference on Sustainable Development, Rio+20, accorded a very modest weight to culture. While considerations were made to acknowledge the contribution of cultural diversity and cultural tourism, the Rio+20 document entitled “The Future We Want” did not harness culture’s ability to truly support sustainable development. The Rio+20 experience shows that unless a broad and in depth examination of the nexus between culture and sustainable development is done with global community, the Post-2015 development framework and decision makers will not be fully informed on culture’s centrality and effective contribution to sustainable development. Therefore, the Hangzhou Congress underlined the role of culture in fostering sustainable development as an enabler and as a driver. The Congress aimed at providing state of the art knowledge, research, data and best practices on the contribution of culture to sustainable development, and at engaging the international community in an open debate, in view of the Post 2015 United Nations agenda. 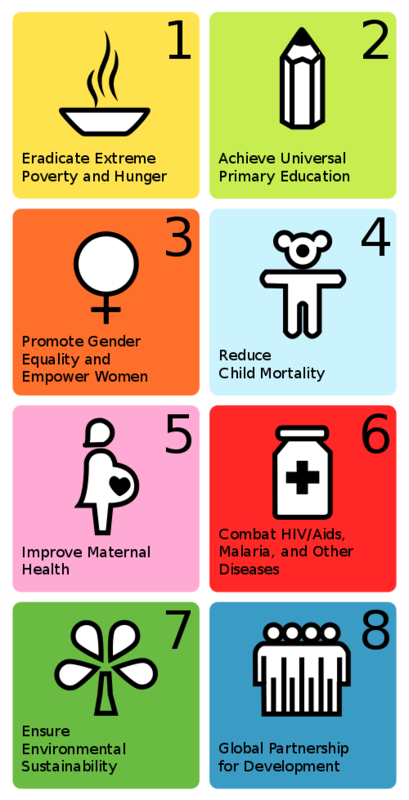 Through the contribution of eminent development experts, United Nations leaders, governmental decision makers, international and regional organisations, private sector and civil society key representatives, the Congress provided an historical opportunity to make a difference in the global sustainable development agenda Post 2015. UNESCO/Matthieu Guevel/UNESCO Director-General, Irina Bokova, speaking at the welcome reception of the International Hangzhou Congress, China, May 2013. Calling for a new approach toward sustainable development, the “Hangzhou Declaration” advocates for placing culture at the heart of public policy. The Declaration urges governments, civil society and the private sector to harness the power of culture in addressing the world’s most pressing developmental challenges, such as environmental sustainability, poverty, and social inclusion. “Culture is precisely what enables sustainability – as a source of strength, of values and social cohesion, self esteem and participation. Culture is our most powerful force for creativity and renewal.” stated the Director General, Irina Bokova. Released at the end of the Hangzhou International Congress, the Declaration is the product of intensive discussions led by over 100 of the world’s most cutting-edge leaders in the field of culture and development, who joined forces to prove the inextricable link between culture, sustainable development and lasting peace. As the largest and most high-profile global event in 15 years dedicated to culture and development, the Hangzhou Congress brought together ministers and high officials, private companies and experts and civil society actors, including Highness the Aga Khan, chairman of the Ag Khan Development Network, H.R.H Prince Sultan bin Salman Abdulaziz, and Liu Yondong, Vice Premier of the People’s Republic of China. Building on UNESCO’s longstanding advocacy to demonstrate the link between culture and development, the Declaration brings together a decade of evidence and initiatives to showcase culture’s indispensable role for sustainability. Culture is at the vanguard of social and economic development in an increasing number of countries. Yet culture is still not fully integrated into sustainable development strategies worldwide. The Hangzhou Declaration urges that public policies need to reflect and scale up the variety of initiatives led at the local and national level. Because of culture’s cross-cutting role across a variety of fields, the Declaration exhorts stakeholders in the cultural sector and beyond – such as education, heath, and urban planning – to integrate culture in strategies for social growth and development. Cultural and creative industries, such as tourism or heritage, and cultural infrastructure, such as museums and public theaters, are engines for social dialogue and cohesion, as well as jobs and revenues, especially in developing countries, thereby fighting poverty, unemployment and violence. The Declaration suggests that the creative economy, fueled by the power of new technologies, may be the next new economy, following the agrarian, industrial, and service economies. The Hangzhou Declaration is a key step in UNESCO’s advocacy to integrate culture into sustainable development strategies, as the international community shapes a new global agenda for sustainable development after 2015. The Hangzhou Congress came at a critical juncture, less than one thousand days from the 2015 deadline and as the world debates the shape of new global post-2015 development agenda. The Hangzhou Declaration is expected to play a crucial role in helping to set the terms for that debate and to push for the full integration of culture into post-2015 development goals. “the emergency tents needed to be reconfigured according to Haiti’s villages, not in straight lines, as is too often the case”. For Sir Fazle Hasan Abed, founder of BRAC (Bangladesh Rural Advancement Committee), if development is to be sustainable, it must be embedded in culture and social fabrics. For example, in 1979, infant mortality in Bangladesh had been as high as 252 per thousand. Most of this infant mortality had been due to diarrhoea, easily treatable with oral rehydration solution. Attempts to teach village women the importance of using this solution were initially disappointing; and it was discovered that this was because the men in the households were not encouraging its use. Following extensive work among men, infant mortality in Bangladesh now stood at fewer than 40 per thousand, the lowest rate in South Asia, demonstrating that if an intervention was not culturally appropriate and if it had not been accepted and made part of the culture, it would not have worked. According to Wiendu Nuryanti (Vice-Minister of Education and Culture for Cultural Affairs of the Republic of Indonesia), 10 per cent of Indonesia’s GDP now comes, directly or indirectly, from the creative industries. The Borobodur Temple, a UNESCO World Heritage Site is, for her, an exemplary example of the importance of cultural heritage in Indonesia. Situated in a majority Muslim area, it is the world’s largest Buddhist temple, and the local population is keenly aware of its importance for the local economy. It attracts five million visitors a year, 90 per cent of them domestic. One million jobs had been created directly or indirectly as a result of the temple. According to Carlos Villasenor Anaya (President of Cultural Interactivity & Development), turning to the cultural sector helped the Colombian city of Medellin, which was plagued by endemic violence in the 1990s, diminish violence by 80% in a dramatic turnaround. In 2011, 30% of the city’s budget was invested in education, culture, and urban landscaping. New cultural infrastructures, such as public libraries and concert halls, gave access to culture to all. A new urban landscaping succeeded in bringing residents together, through the creation of open and green spaces. 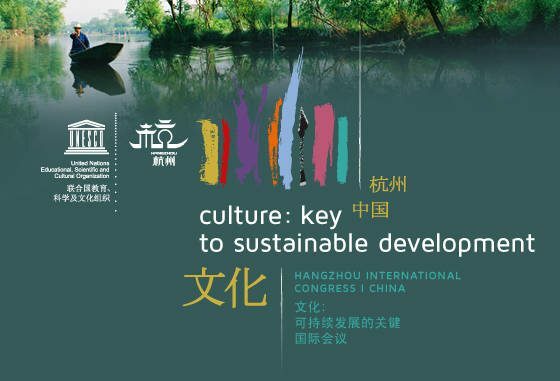 The International Congress “Culture: Key to Sustainable Development”, Hangzhou, China, 15-17 May, 2013. The Hangzhou Declaration recognizes culture as an enabler and driver of development and calls for its integration within future policies, strategies, practices and goals to be defined in the framework of the post-2015 agenda. The Hangzhou Declaration is expected to play a crucial role in helping to set the terms for the shape of new global post-2015 development agenda and to push for the full integration of culture into post-2015 development goals.